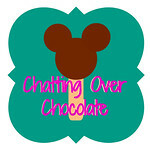 Chatting Over Chocolate: "Frozen" Family Fun! In honor of Frozen's Blu-ray/DVD release day (and because I've been down with a "bug" for the past week), I'm directing you to a "cool" post that I created and published shortly after it's theater release. It's chock-full of activities, printables, and recipes that would be perfect for a Frozen themed family movie night! 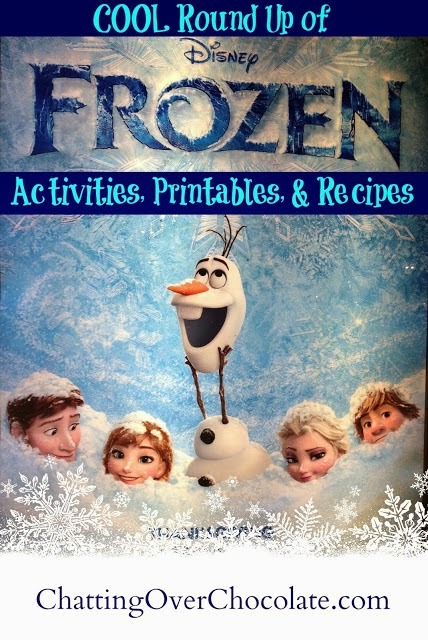 "COOL" Round Up of Activities, Printables & Recipes Inspired by Disney's Frozen! Do You Wanna Draw a Snowman? I'll be back next Tuesday sharing more WDW goodness! Meanwhile, have a magical week, friends! Visit my Disney World Trip Reports page for magic inside the Disney Parks and throughout Disney property! man I guess I will need to buy this for the boys. Feel better soon!!! I love that "draw Olaf" tutorial - I'm going to have to try it! Oh my goodness the girls I nanny for have been checking the mail everyday for their preordered frozen to arrive. I won't lie I'm super excited to see it after having to listen to the sound track a million time. They will love the recipes and ideas you shared too!!! We got our copy in the mail yesterday and I immediately watched it. What a sweet movie! This is perfect--I'm so sad I missed the DVD release viewing party my friends were hosting while I was away, but I will most definitely be hosting a make-up session so that we can put those printouts to proper use for the first time in (for)ever. Thanks a bushel and a bundle!